Life insurance is a critical investment. It is very important for your life insurance provider to consider your needs. In California, getting a life insurance quote in proportion to your financial planning goals could be a task. While most will suggest you to opt for a policy with expensive premium, Rais Insurance is a California life insurance specialist which understands that your valuable investment is worth. As a consumer, you would be spending substantial amount of money each year on family life insurance plans without having proper information about the sum assured and details. Rais Insurance believes in keeping maximum transparency, when it comes to insuring your life. Before you purchase an insurance, it is important to know that it is always best to buy for different people in your family from the same insurance provider. Rais Insurance specializes in providing life insurance policy plans and when you purchase group policies, you can always request great discounts. It goes a long way in helping plan your annual budget while protecting your family against an unexpected tragedy if it might occur. The type of policy that you opt for will vary based on the number of people in your family. If you have 3-4 kids or if your members live in different states in the country, you might have to look for more offers from a comprehensive provider. An insurance company with a strong can offer a variety of plans to suit your budget and provide coverage. What Kind of Life Coverage to Prefer? The amount depends on how much the member is earning or whether they are dependent on someone else. If the insured is the only earning member, then on his or her demise, the insurance cover should be enough to offer a comfortable living. It is therefore important to compare term life insurance plans and arrive at the one that provides the most coverage. Opt for a plan that provides a monthly sum that is equivalent to what the family member would have earned if they were working. Go for a long-term plan that can help reduce monthly or yearly premium. You can also choose to pay it earlier to avail discounts. There are different types of life insurance available and each one of them provides compensation in a different method. Cash Value Insurance – The policy has a higher premium and will provide the option to surrender an insurance when the insured person is alive and get paid in cash. Lifetime Insurance – A policy that spans through a person’s entire lifetime. If taken when you are still young can provide better benefits as medical claims will be lesser for a healthy individual. Variable Insurance – The policy combines life insurance based on the value of the underlying assets. It can vary at the time of payout. Being a reputable California life insurance provider, Rais Insurance provides you with the most suitable policy fitting your needs and helps compare life insurance policies. Our agents ensure maximum yield from the policy that you’re willing to invest. Life insurance policy varies with your age and responsibilities. Usually, the amount of insurance also depends on the standard of living of your dependents. Our expert insurance agents in California ensure that you invest into a policy which gives returns for meeting the needs of your dependents. A standard life insurance requires balance. Getting over-insured could negatively impact your future financial goals, just the way being under-insured can. IT always advisable to get yourself insured from a reliable life insurance provider, who not only helps you assess your needs based on various factors. Rais Insurance provides both the term policy and permanent policy. The permanent life insurance insures the entire life of the policy holder, which means it won’t expire till you’re paying the premiums. In case of term life insurance, payout is guaranteed if the death of the insured occurs within the time-period specified in the policy. 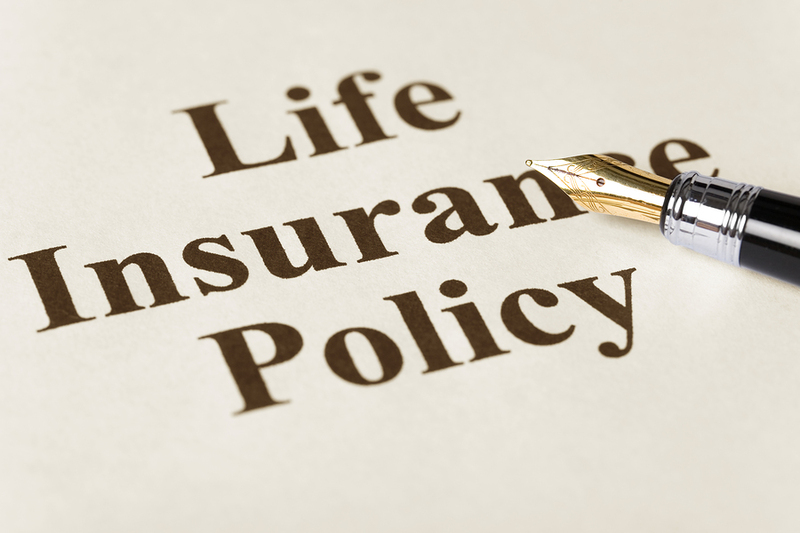 Both types of life insurance policy plans have their own benefits. In order to get a consultation, schedule an appointment with our agents, who’ll help you through the process.